New Zealand vs Sri Lanka One-Off T20I Stars Live Cricket Streaming: After being completely outplayed in both Test and ODI series, Sri Lanka would be aiming to win at least T20I series against the hosts New Zealand, when they will face-off in the one-off T20I at the Eden Park on Friday, January 11. 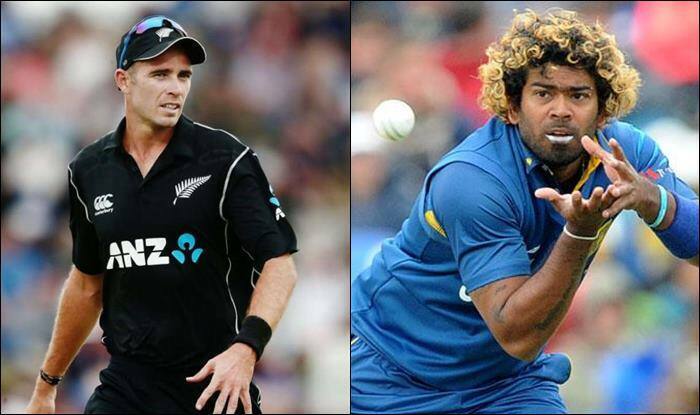 New Zealand vs Sri Lanka One-Off T20I Stars Live Cricket Streaming: After being completely outplayed in both Test and ODI series, Sri Lanka would be aiming to win at least T20I series against the hosts New Zealand, when they will face-off in the one-off T20I at the Eden Park on Friday, January 11. The hosts has been dominating throughout the season and have achieved milestones in almost every match. Tim Southee will be leading in this match as Kane Williamson has been given rest, due to workload and to preserve for the upcoming series against India. Meanwhile, Trent Boult will also miss this match due to the same reason and is on rest since the third ODI. Kiwis also faced a big blow ahead of the T20I as their in-form all-rounder James Neesham picked up an injury in the third ODI and might miss the series against Virat Kohli and Co.
Ross Taylor is the player to watch out for in this lone T20I as he has been in red-hot form for New Zealand, who became the first ever Kiwi batsman to smash 20 centuries in ODI and also surpassed Sachin Tendulkar and Kohli in terms of hitting 50-plus runs in an innings. Meanwhile, for Sri Lanka Kusal Perera is the one who can give a tough fight to the hosts as he scored 159 runs in the ODI series including a century. When and at what time will the one-off T20I between New Zealand and Sri Lanka will start? The one-off T20I between New Zealand and Sri Lanka will be played on January 11, the match will start at 11:00 IST. Where is the one-off T20I between New Zealand and Sri Lanka will be played? The one-off T20I between New Zealand and Sri Lanka will be played at the Eden Park, Auckland. Which TV channels will broadcast the live coverage of one-off T20I between New Zealand and Sri Lanka? The one-off T20I between New Zealand and Sri Lanka will be broadcasted live on Star Sports network in India. How to watch the free online live online streaming of one-off T20I between New Zealand and Sri Lanka? The free online live online streaming of 2nd Test between New Zealand and Sri Lanka will be available on Hotstar app and Jio TV. What are the probable playing XIs of one-off T20I between New Zealand and Sri Lanka? Sri Lanka: Lasith Malinga (C), Dushmantah Chameera, Niroshan Dickwella, Danushka Gunathilaka, Kusal Perera, Kusal Mendis, Dasun Shanaka, Sadeera Samarawickrama, Thisara Perera, Lakshan Sandakan and Seekkuge Prasanna. What are squads for one-off T20I between New Zealand vs Sri Lanka? New Zealand: Tim Southee(c), Lockie Ferguson, Martin Guptill, Scott Kuggeleijn, Colin Munro, Doug Bracewell, Henry Nicholls, Glenn Phillips, Seth Rance, Mitchell Santner, Tim Seifert, Ish Sodhi, Ross Taylor.